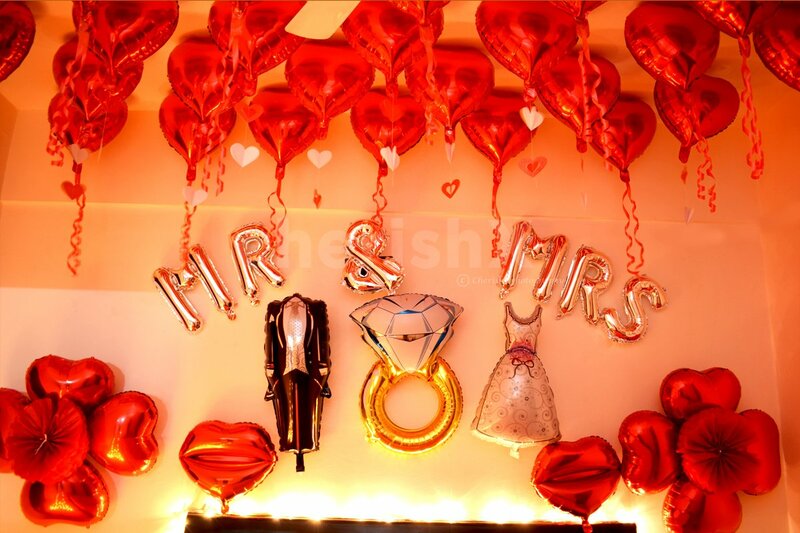 The most memorable night of your life as a couple decorated by CherishX. "Weddings are special, but the first night after marriage is a night to remember for life. It creates a special memory forever. 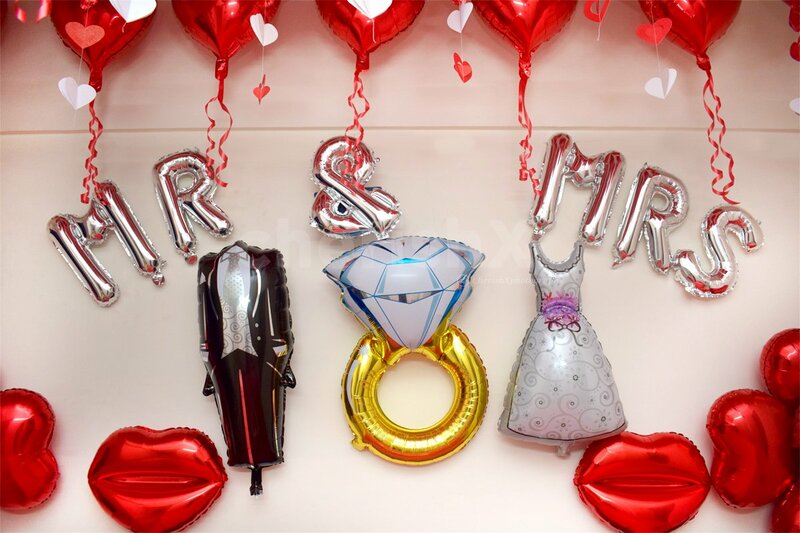 Which is why we have created an unforgettable decor for you to surprise your partner on your first special night together as husband and wife! 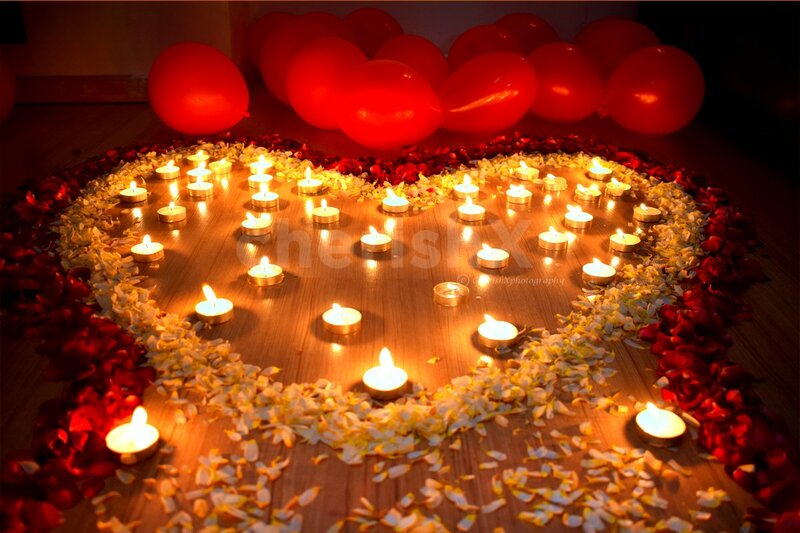 This unique decor package creates a romantic ambience in your room and also sets the tone of love for you. 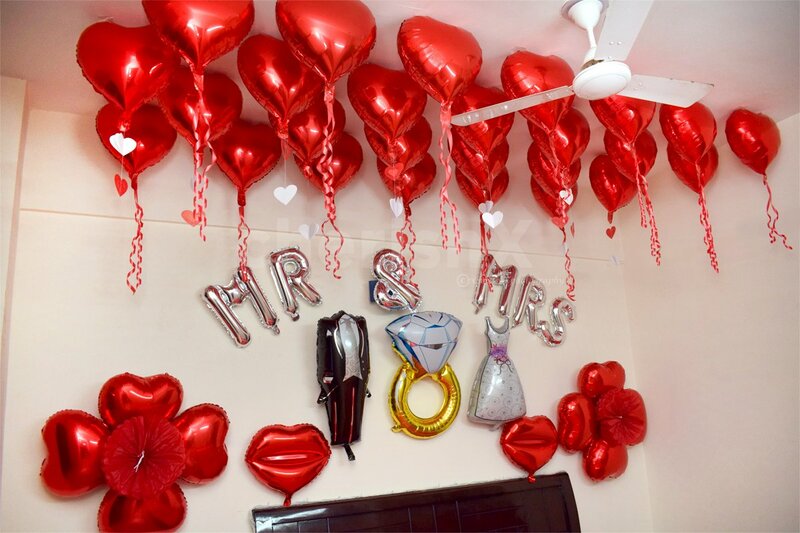 The decoration will be done using 34 red heart foil balloons on the cieling and some on the wall, 1 pack of heart strings, 'Mr' and 'Mrs' Foil balloons, 1 ring-shaped foil balloon, 2 red pom-poms, 2 red lips foil balloons, 1 each of man and woman foil balloon, 30 red balloons floating loose on the floor, 20 tealight candles along with a combination of red and white flower petals for a romantic pattern on the floor, and 1 led light string to decorate the header of the bed. 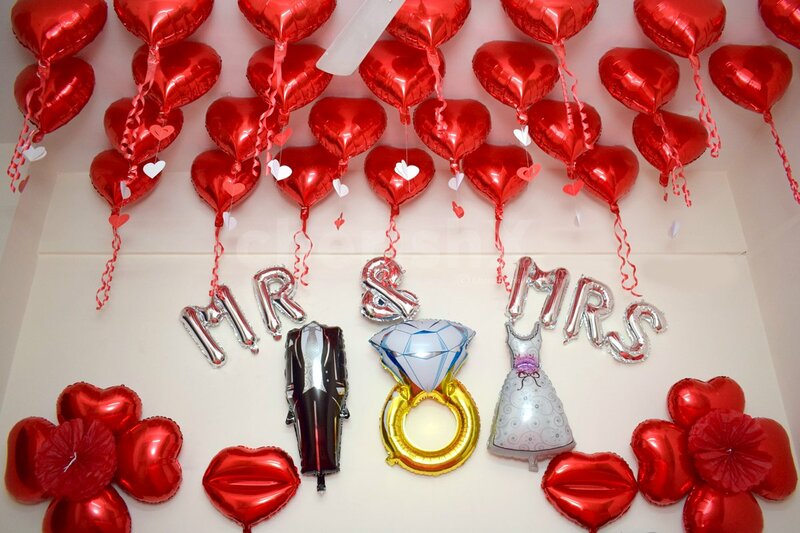 Whats more, this decor will be done by our team at your home or a location of your choice! 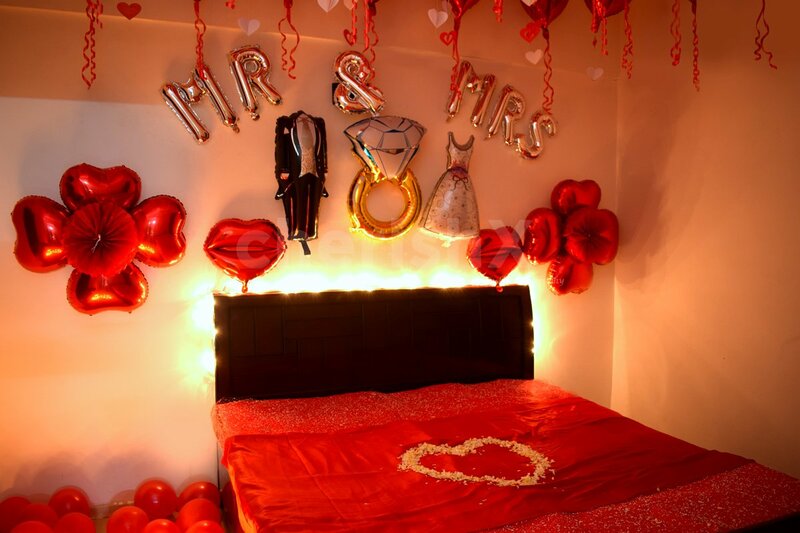 This decor will surely make your partner feel happy and blessed on the first night of your togetherness. You can also gift this amazing home decor to a couple in your family or friend circle, etc. This would make for the perfect wedding gift for the bride and groom. This decor can also be an ideal backdrop for photography purposes! Click pictures or get your bridal/pre-bridal photoshoot done indoors with this romantic decoration in the background. This lovely decor comes with some unique and thoughtful customisations as well. Cut a delicious cake with your loved one or surprise them with a bouquet of 20 roses and much, much more! 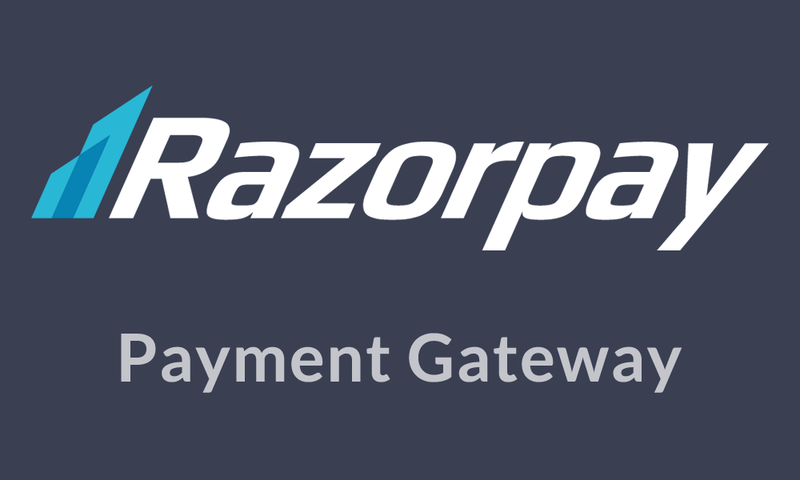 Just check out our cool add-ons below! "